Planning a Disney World Vacation with a Family of 5 can be a real challenge. Like most of the hotel world, rooms are typically designed for up to people people and anything more than that can present difficulties. For a family of 5 that doesn't have an unlimited budget, finding a hotel that can comfortably accommodate the entire family can sometimes be a challenge. Today we will look at identifying the Disney World Resorts that have rooms that are designed to accommodate five. You always have the option of getting two rooms that are side by side or adjoining, but that is expensive and unfair for families that are one person over the limit. The new Family Suites at Disney's Art of Animation Resort is designed for up to 6 people. 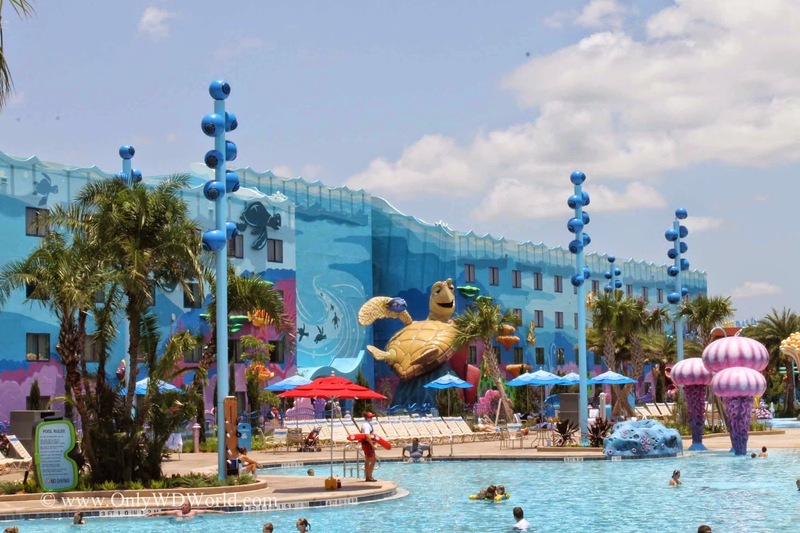 There are three different versions: The Lion King Suites, The Cars Suites, and The Finding Nemo Suites. They all are well designed and work great for families with younger children. The pool area is amazing and the overall Resort theme will certainly catch your attention. The original Family Suites were installed as part of Disney's All-Star Music Resort and also accommodate families of up to 6 people. The cost is slightly less than the Art of Animation version, but it makes a great option for families. Here is a somewhat hidden secret at Disney's Port Orleans Riverside Resort. 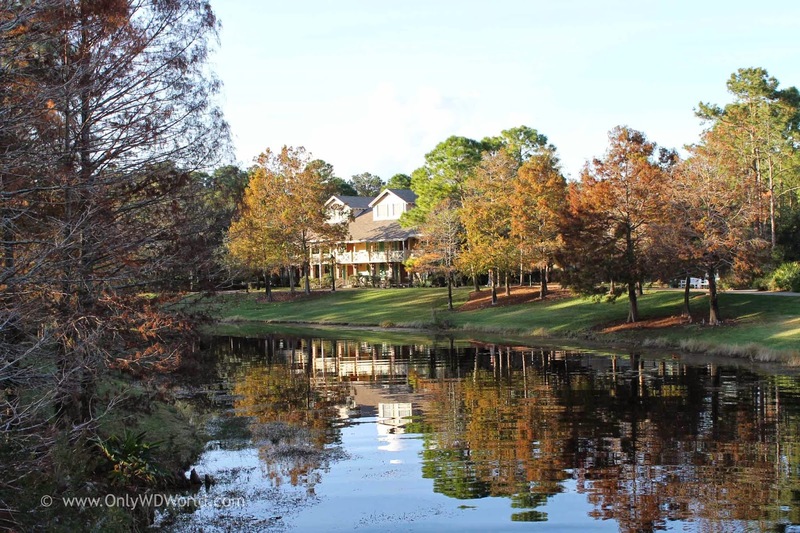 The Alligator Bayou section of the resort is equipped with small single fold-down beds that are 63" long. If you have a child this is a great option and by far the most economical for 5, but it will not work too well for teenagers. For both of these Epcot Area Resorts you can get a standard room that comes with 2 Queen Sized beds and a day bed to allow for 5. 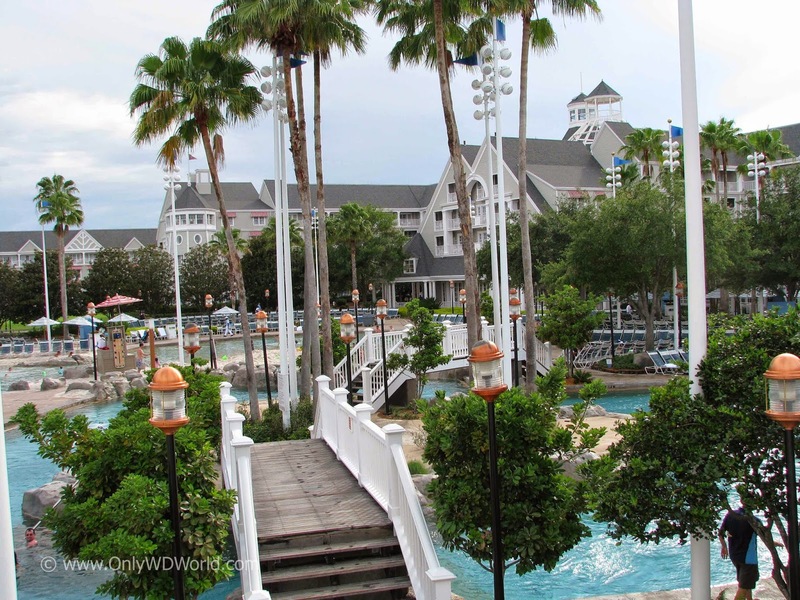 These are beautiful resorts that happen to share the best pool area in all of the Walt Disney World Resort - Stormalong Bay. There are Cabins that can sleep up to 6 people at Disney's Fort Wilderness. If you like Rustic, this is it. The Cabins are considered part of Disney's Moderate Level Resorts, so they are qualified for receiving FREE Dining promotions. All 3 of the Deluxe Resorts on the Disney World Monorail Loop outside of the Magic Kingdom have rooms that are designed to sleep 5 with 2 Queen Beds and a day bed. Although the costs are creeping up, it still may be a better option than getting two rooms at the next lower category. Although it can be challenging, there are still quite a few options for families of five at Disney World. Our #1 recommendation is to try Disney's Port Orleans Riverside if your youngest can fit in the fold down bed. This is the most economical choice. 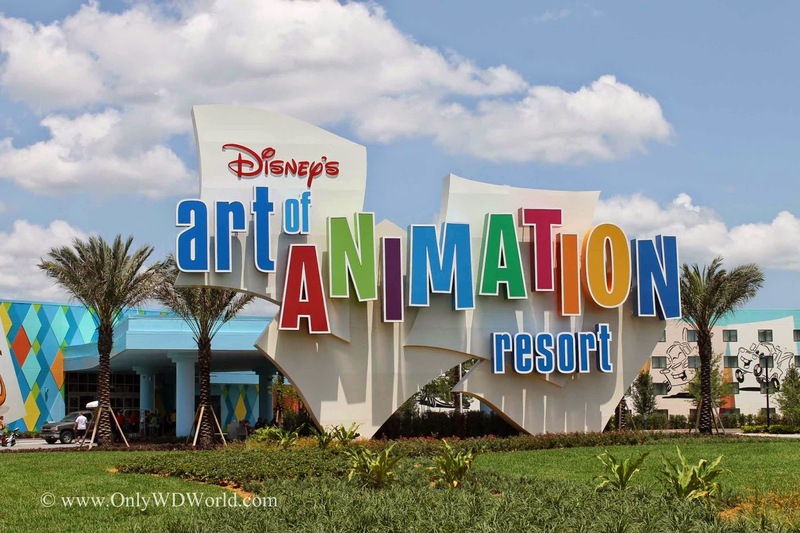 Next we would recommend the Art of Animation Family Suites for families with younger children and suggest either the Yacht Club or Beach Club Resort for families with teenage children. 0 comments to "Planning A Disney World Vacation With A Family Of Five"